Ever since I was training to join the Army, I’ve been intrigued as to the best way to increase my running times. And now, with a 5km goal I’ve set myself, it’s time to take a structured approach to getting a running PB (personal best) that doesn’t involve endless intervals and track sessions. So I spoke to a good friend, and Royal Air Force Officer, Rosie Brooks. Rosie has seen some incredible results in her running over the last year or so, and I wanted to know how she was getting these incredible results, so she kindly agreed to let me in on her secret, and it might just surprise you. Firstly, a little intro to Rosie. We go way back. In fact, we go back to Day 1, Week 1 at The Royal Military Academy Sandhurst (RMAS). Rosie is now a Personnel Support (HR) Officer in the Royal Air Force. She first trained with me at RMAS in 2010, and commissioned into the Adjutant General’s Corps. After a tour of Afghanistan in 2012-2013 (keeping me company! ), and 4.5 years in the Army, she decided to transfer to the RAF in order to broaden her HR experience in the different Service. Despite always being very active, it wasn’t until 2017 when Rosie was posted to Qatar that she really saw her running improve. Here, I learn what motivates Rosie to run, how she saw such dramatic improvements in her running PB, and what is next for her in her fitness journey. Have you always been active growing up? Yes, I tried lots of different hobbies when I was a kid from gymnastics, to trampolining and swimming. Enjoying the outdoors, I had a real passion for horse riding and got my horse, Mr Bud, when I was 15. Now, 17 years later he is still going (albeit at a slower pace of life!). On return from backpacking at the age of 19, I took up running, completing my first half marathon for charity at 21. It was a love of being active that made the Army really appeal to me as a career choice, beginning Sandhurst at the age of 23. What do you enjoy about running in particular? I get a real buzz from running by water and being able to bounce along in my own world. I find that running really energises and motivates me – I absolutely love running before work in the mornings and entering races and improving on my running PB. What changed last year that gave you that extra push of motivation to improve your running times? I started to follow a structured training programme after speaking to my friend’s husband who is a Physical Training Instructor (PTI) in the Army and has some extremely impressive Iron Man times. Can you tell us about how you switched up your run training, and when you started seeing improvements? It was whilst chatting to the PTI about the times I had managed to get from changing my running style from being a ‘heel striker’ to teaching myself to run again and adopting a ‘mid foot’ style. I then wanted to see how far I could shave further minutes off with a properly structured programme. 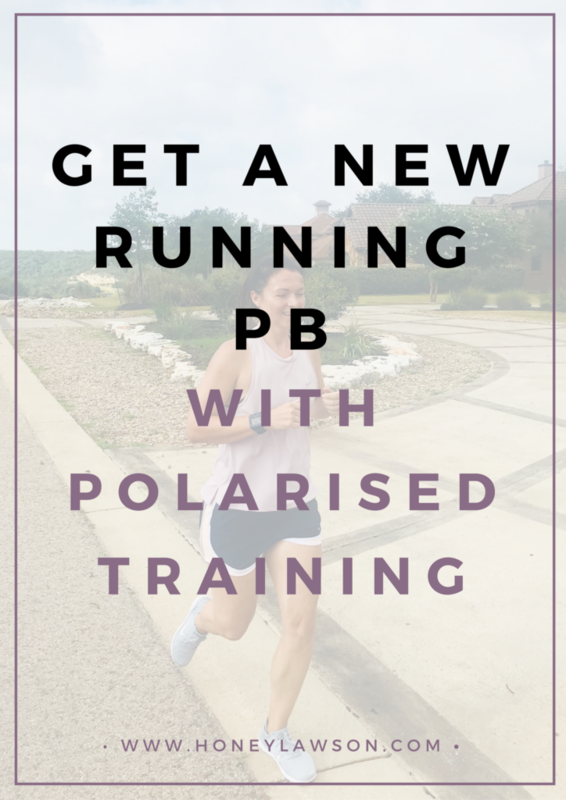 Ben told me about the benefits of ‘polarised’ training – i.e. training at a consistent level, in 5 different running zones. The runs switch between a much steadier pace than I had previously trained at before to then longer and faster intervals – so effectively building in ‘recovery’ runs and endurance and strength. I went from running 3-4 times a week to 6 times a week. The trick is not to push too hard in the steady state runs, so that you have enough energy to really hit the ‘tempo’ and interval runs with as much energy as you can. This is where the term polarised training comes from – training easy and then the polar end, pushing yourself very hard. I stuck rigidly to this programme whilst I was working overseas and within about 4 weeks I saw dramatic improvements – going from a 21.07 5km run to a 19.43 5km within 2 months – results that astonished me! Considering my training programme is based around half marathons, I was not expecting such dramatic results over a shorter distance – my 10km went from a 44.06 to a 42.14 – I was thrilled. I have not yet completed a half marathon since following this programme – so the results on that are yet to be seen but I am excited about seeing what I can achieve this year. What was the most challenging about your new training program? Running six days a week was a challenge to begin with and all of the runs are from 45 – 60 mins – I had mixed shorted distances beforehand and I realised that I needed to still include some strength sessions. However, once my muscles had gotten used to it, my recovery was much quicker (and it was great once I started seeing the amazing results!). Did you switch up your eating/dietary habits to compliment your new running schedule? I have always been of the mantra of trying to eat a balanced diet, but I do have a sweet tooth and I do not restrict what I eat – food is fuel and I believe that restrictive diets are not good for you and make you miserable. I eat what I fancy and always ensure that I get my five a day!!!! How do you stay motivated on cold/dark/rainy mornings/late evenings after work? Knowing how good I will feel when I finish – running really makes me feel fantastic and focussed – I always feel blessed and lucky that I can get out and enjoy the outdoors. What is your reward for running? I enjoy a cheeky glass of wine or a nice dessert – however, the big reward for me is achieving a Personal Best (PB) and the endorphins at the end of a run. Do you have any tips for prepping the day before/on race day? Based around my half marathon races – I drink loads of water – I walk around constantly with a bottle or glass of water the day prior to race day. I also have a massive bowl of porridge with honey and blueberries 3 hours before the race, then a coffee, banana and a small bar of dark chocolate approximately 30 mins prior to the start! Are you continuing to run and improve? What’s next for you on your fitness journey? I am hoping to get a half marathon PB this year – I have 3 in the diary – but my main focus was preparing for a charity Boxing match for Cancer Research UK at the end of March – something I never conceded that I would do before but I think that mixing up your training and doing things outside of your comfort zone is great for all over fitness and well-being. 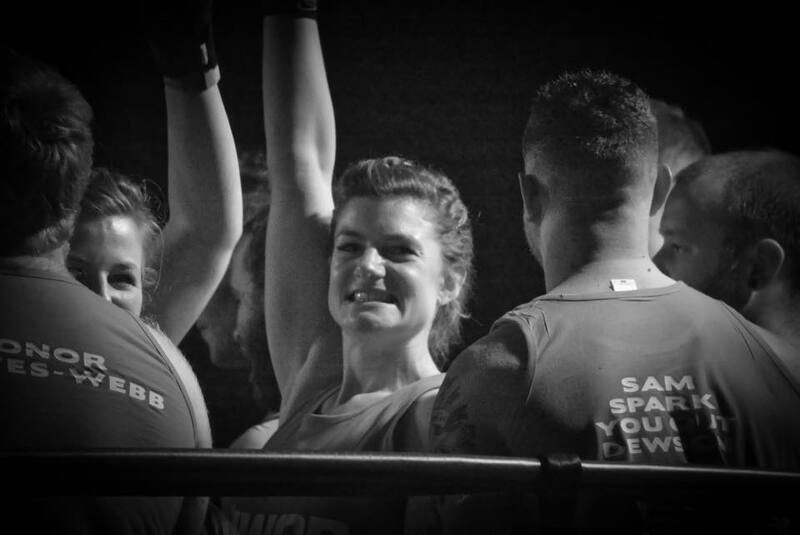 (Rosie has since competed, AND WON, her charity boxing night!). It will surprise you how slow you may have to go to maintain a HR below 85%, especially if you are used to pushing yourselves on your run. It just goes to show, sometimes slow and steady helps win not just the long race, but the short one too! Rosie is truly an inspiration to me. She works hard and takes satisfaction in seeing her improvements. 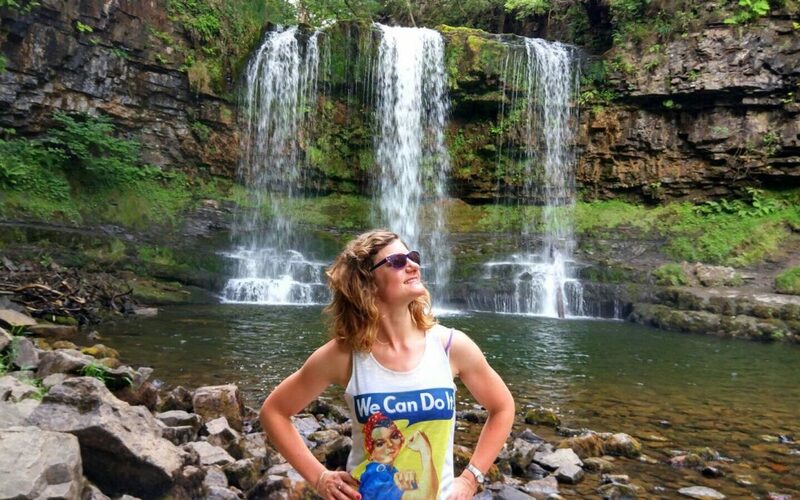 She was incredible in her charity fight earlier this year (and you can still show your support here), and smashed her half marathon time, finishing the Tewkesbury Half Marathon in a time of 1hr 34 mins 29 seconds. If you want to share your inspirational story of how training has allowed you to reach new levels of fulfilment, then get in touch!